Bright Smile Dental and Orthodontic Center understands the importance of prevention, therefore you can rely on our professional team of Dentist in Dubai to help you maintain a healthy Smile through preventative dentistry. At Bright Smile Dental Clinic, Our aim is to promote and maintain good oral health for our patients and this is what general dentistry aims to achieve. It encompasses all aspects of dentistry required to achieve this aim. We pride ourselves as one of the best dental clinics in Dubai with a wonderful team of experienced dentist in dubai. We strongly believe that prevention is better than cure. This is why we promote routine dental care examinations so any problems are seen at an early stage when the treatment required is simpler and easier that actually makes going to the dentist a much more pleasant experience. 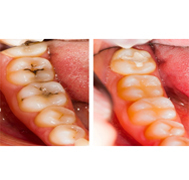 The two primary causes of tooth loss, decay and gum disease, are generally caused by bacteria in the mouth. By practicing preventive dentistry you will ultimately minimize dental treatment needed to maintain a healthy mouth. The better you prevent or deal with these two problems, the better chance you have of keeping your teeth for life. Our consultations include a full medical history to identify any conditions of significance, a thorough dental care examination, radiographs, study models and photographs as appropriate. Our Dentist in Dubai will discuss with you all treatment options from normal to laser dentistry and provide you with a written estimate and dental treatment plans. It is advised that you visit your dentist twice a year. Isn’t it a great feeling when the teeth have been cleaned and polish and all the plaque, calculus and staining are removed leaving your teeth feeling clean and fresh? Our expert Dentists in Dubai Dental Clinic will ensure safe & best dental care services. Fluoride helps prevent tooth decay by making the tooth more resistant to acid attacks from plaque bacteria and sugars in the mouth. It also reverses early decay. In children under six years of age, fluoride becomes incorporated into the development of permanent teeth, making it difficult for acids to demineralize the teeth. How you clean and look after your teeth when you leave the dental clinic is so important to the health of your mouth and so we spend a time to explain and demonstrate different methods that you can use to keep your mouth fresh and healthy. Consult our Dentist in our Dental Clinic in Jumeirah on Al Wasl road and best rest assured we will take care of your Oral Hygiene. 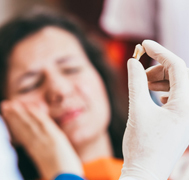 Although permanent teeth were meant to last a lifetime, there are a number of reasons why tooth extraction may be required. A very common reason involves a tooth that is too badly damaged, from trauma or decay, to be repaired. We have many years of experience with team of best dentists and are one of the best Dental clinics in Dubai for Tooth Extraction. We are a team of experienced Dentists in Jumeirah executing safe and quality Dental procedures. Consult one of our Dentist in Dubai to take care of your Dental Proceedures. Our Dental Clinic is located in Jumeirah One, Al Wasl Road. Call us for Free Consultation.